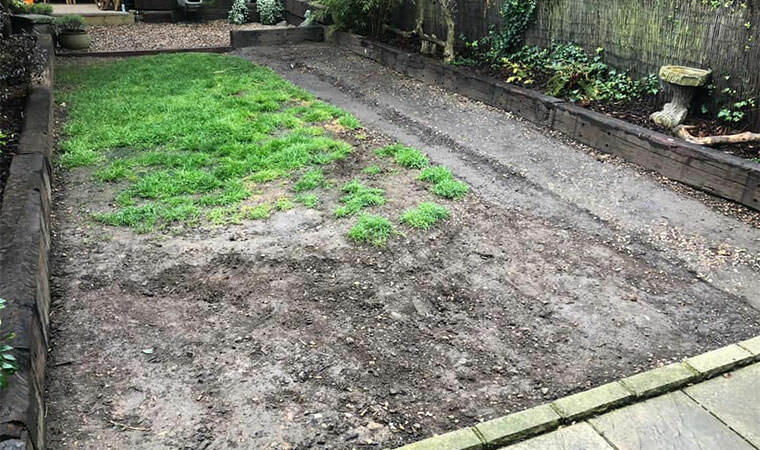 This back garden in Plumstead, London is the playground of a beautiful retired greyhound who still likes a bit of a run around and a dig! The only problem was the real grass. An artificial grass play surface was required. 3 tonnes of Type 1 and 2 tonnes of granno later and ourthe lawn was Greyhound proof. The timber fixings we placed inside the sleepers will stop the dog from digging up the lawn. This Greyhound will have to find a new hobby! 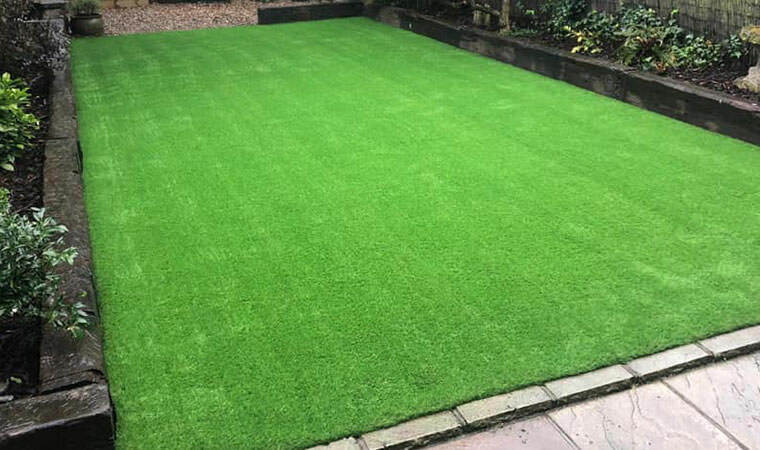 Reasons why our artificial grass is suitable for dogs and the extra measures we take when installing dog grass can be found here.